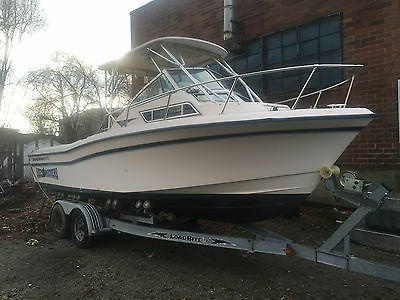 Fisherman 247 1988Trailer New TiresGPS Last Season OutriggersTwin Yamaha 115 1989Starboard engine needs new power headThe boat is solid and in very good condition. This boat shows great. It is currently Shrink Wrap and ready to ship. 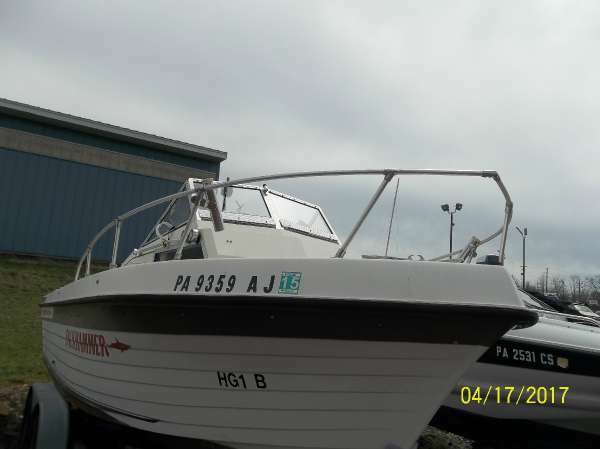 Buyer must pick up boat in Hershey, PA. For a minimum fee we can transport the boat to New Jersey for export. 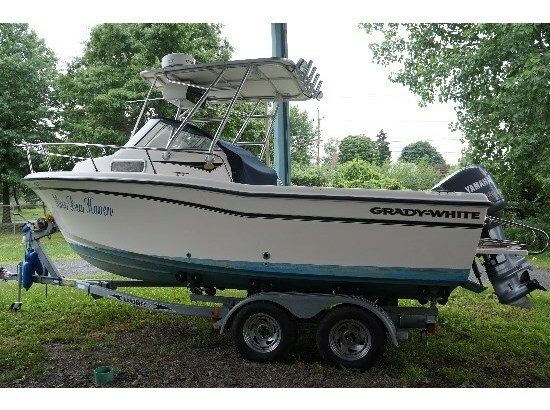 This is auction for 1997 Grady White 226 Seafarer Fishing BOAT with 2005 Load Rite Galvanized Roller Trailer. Boat in good condition. Before winter was serviced on marina ( $800 have invoice),all the fluids was change and trim motor. Needs a little. Change two antenna, compass and kicker motor bracket. ( will inclined ). No kicker. Boat and trailer have NY Titles. 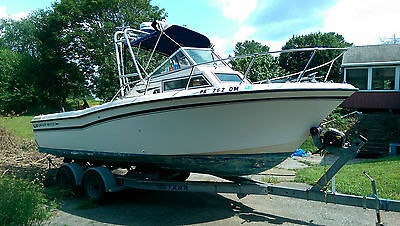 I am selling our 1986, 22' Grady White Seafarer. I will try to describe the boat to the best of my abilities. The boat is in great condition. The motor, gimbel and out drive were replaced in 2003. The radar arch and electronics were also updated then. 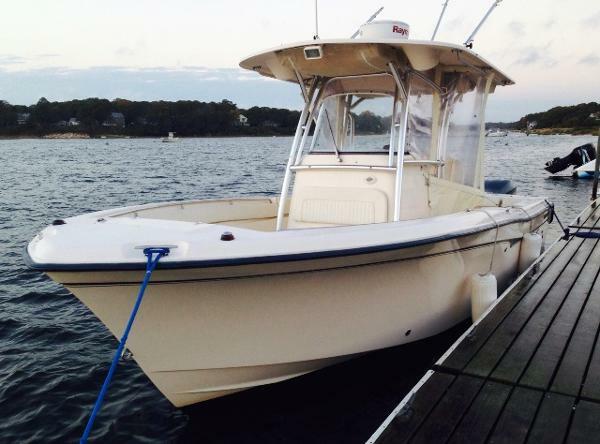 The boat has a JRC Sonar color F/F, a Garmin F/F, a Garmin GPS/Chart plotter, a 21 mile Radar and VHF. I have all the manuals for the boat. This boat is absolutely turnkey. Both batteries are about 15 months old. I added this summer, rocket launchers and LED spreader lights. I have most of the seat cushions and all of the interior cushions. If you know boats, you will appreciate the condition of this boat. The fiberglass is in great condition with very few nicks. It does have a few spiderweb cracks but they are hard to find. There are ABSOLUTELY NO STRESS CRACKS. The boat is very dependable. We use the boat regularly and had it offshore out of Oregon Inlet 50 miles last summer. 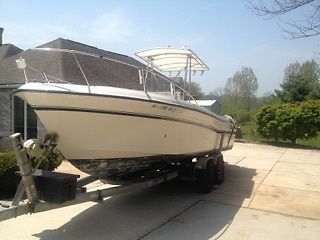 The boat is in the water in Rock Hall MD and is ready for a sea trial for the buyer. If you would rather I bring it to this area and have it on the trailer I would be more than happy to do that. The boat comes with a 2005 FiveStar full roller trailer that is in very good condition but the brakes on it do need to be bled. If you have looked at other boats, you will be more than happy with the condition of this boat. You will not be disappointed. You won't find another Grady at this price that is absolutely turnkey. The boat does need a few things, but can be used today. The water pump recently started making a noise, but I have a new one here and a new serpentine belt to go with it. 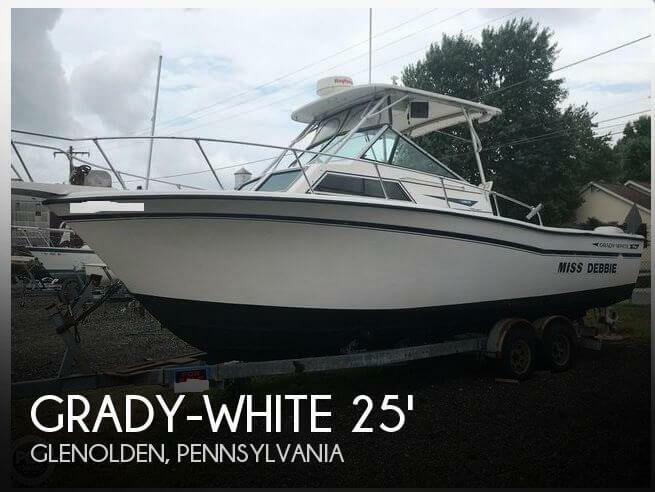 I had the boat listed before, but the boat that I was going to buy, fell through. I decided then to wait until I purchased another boat, which we have, so I no longer need this one. The only reason we bought another boat was to get a bigger one. 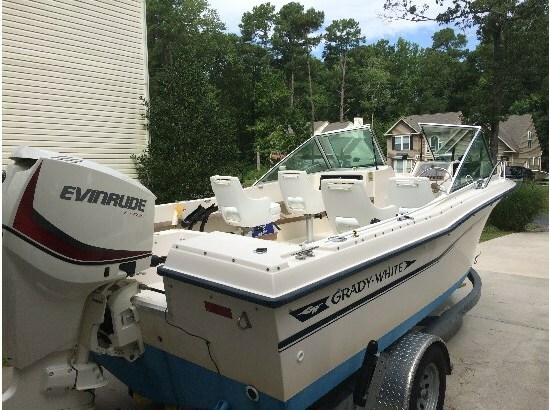 I am selling my 1986 Grady White Seafarer. I purchased this boat from the second owner 2 years ago. The boat has been re-powered in 2003 with a new engine, out drive and gimble. In 2003, the radar arch was added and most of the electronics. 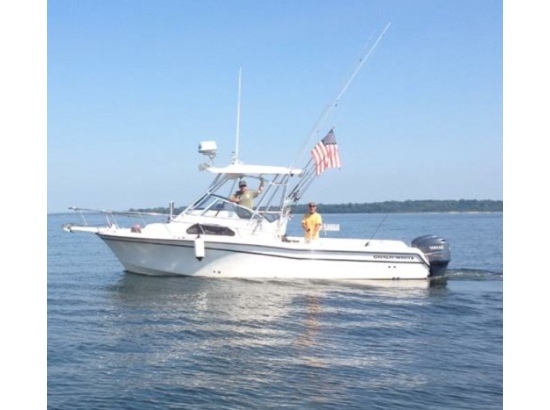 The boat comes with a Garmin GPS Chart plotter, Garmin fish finder, JRC color sonar fish finder, Furuno 21 mile radar. and VHF. This year I added 6 rod holders on radar arch and LED spreader lights. Both batteries are 1 year old. If you have been around boats and have looked at other Grady Whites, you will appreciate the condition of this boat. There are no stress cracks, and only a couple gel coat cracks. 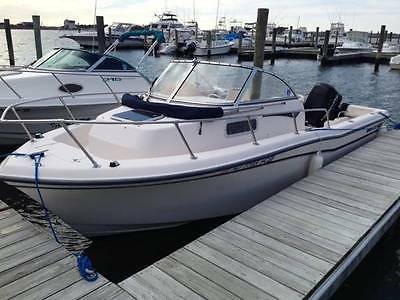 My family and I use this boat every other weekend for fishing the Chesapeake Bay. We had this boat out of Oregon Inlet (NC) and off shore 55 miles. This boat is extremely dependable and fuel efficient. The boat has all of the original cushions that are in very good condition, except for a couple of the exterior seat cushions need new snaps. 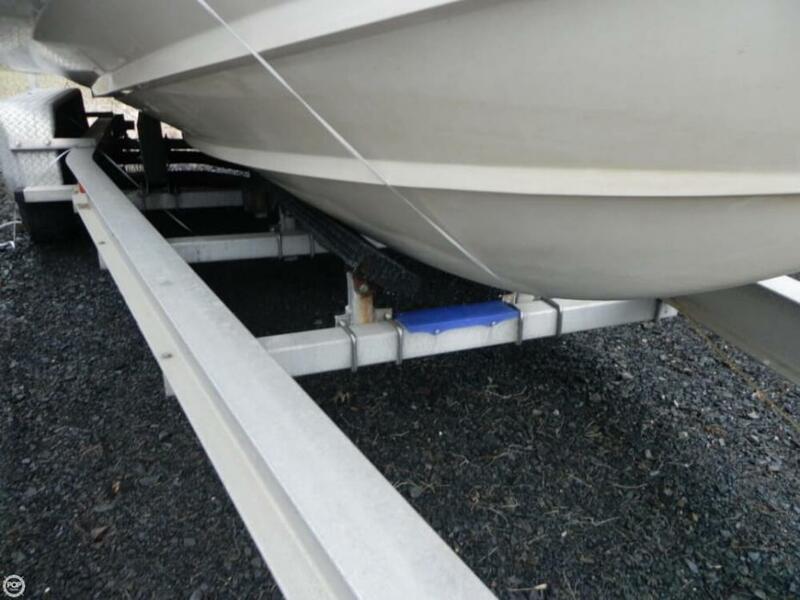 The boat also comes with a 2005 5 Star tandem axle trailer that is in very good condition. The only thing that the trailer needs is for the brakes to be bled. 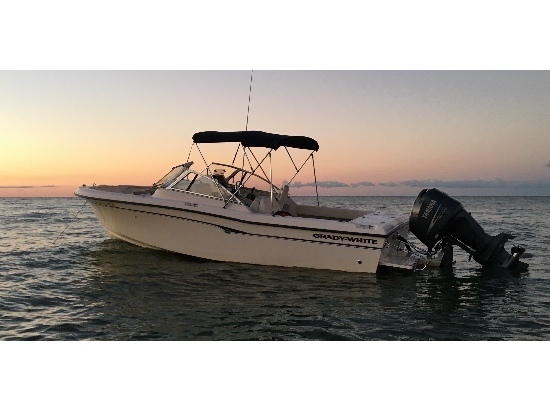 This boat is absolutely turn key and can be sea trialed by the buyer. 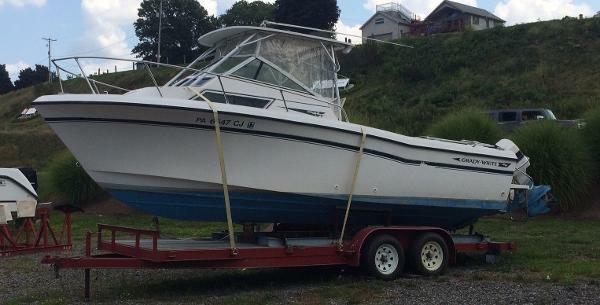 We are only selling this boat so that we can purchase a larger boat.